Smell: super danky, with one gram it has the whole room smellin good lol. Potency: super potent, smoked at around 3pm and it was 7pm and i was still trippin lol. strand? 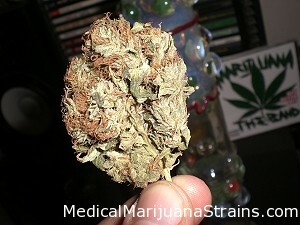 you mean strain… kush is a strain..
That looks a little shwaggy to me.. Like it’s some O-D O.G. or something. Sure it was still pretty good but it definitely does no justice to the true awesomeness that is OGK!